Eliminate lost telephone messages. 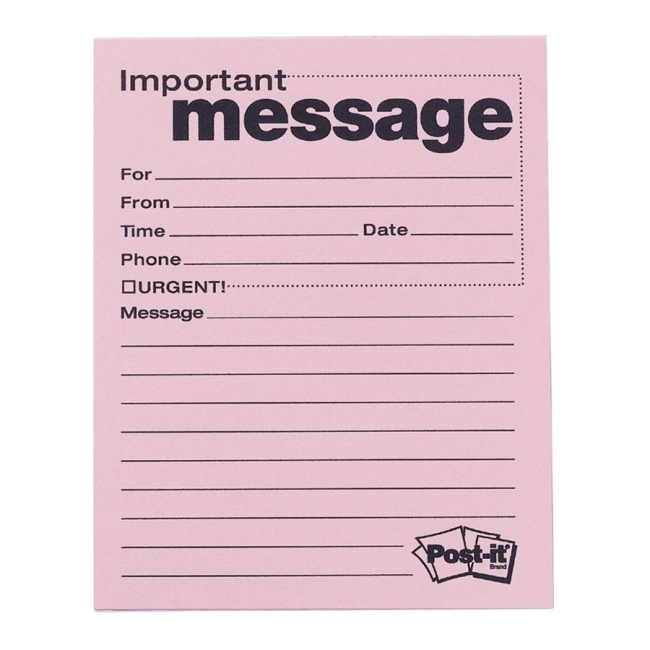 Post-it adhesive strip on back of telephone message forms ensures messages stick securely and won't fly away. Heading reads "Important message" in big, bold letters. 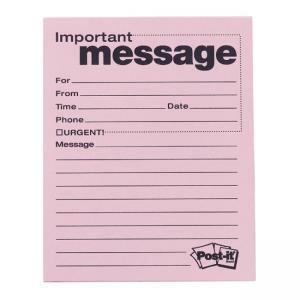 Preprinted prompts include "For," "From," "Time," "Date," "Phone," and "Message" and are paired with lines for neater notes. Message-takers can check a box labeled, "URGENT!" for time-sensitive messages. Each pad contains 50 message sheets with one message per sheet.